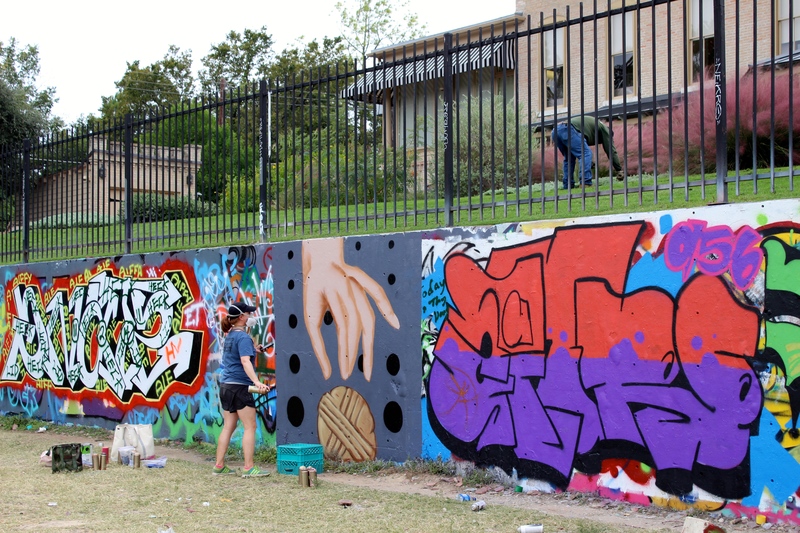 Owned by Castle Hill Partners, Austin’s legal graffiti gallery is truly amazing. There’s something to see on every surface from every angle. Seriously, the graffiti artists have left nothing unmarked – including trashcans, pipes, picnic tables, and more. You’ll have to do a bit of climbing if you want to see the whole park, but when you get to the top, you get a truly stunning view of Austin’s skyline. It’s very peaceful at the top, and would make a great place to chill out and have an afternoon picnic. You might even be lucky enough to catch a graffiti artist at work! 2. Eat Free Samples at the Whole Foods Flagship Store. 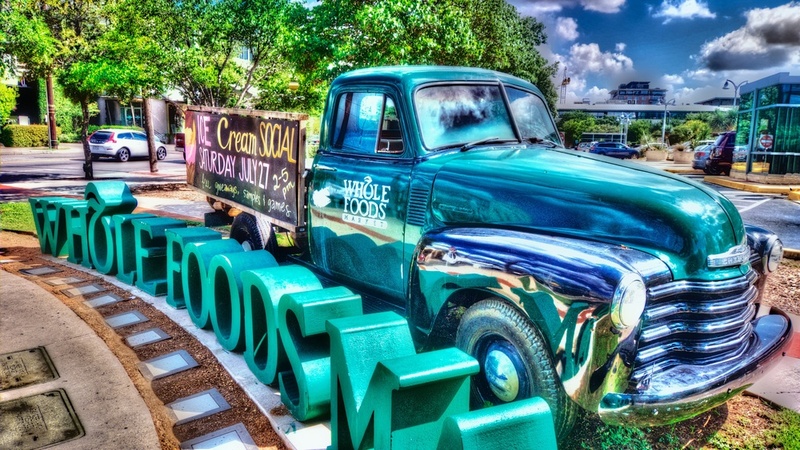 Perhaps you didn’t know this, but Whole Foods Market actually originated in Austin. The history behind it is actually pretty crazy. The first store was founded by a 21-year-old young woman and her 25-year-old college dropout boyfriend, who borrowed $45,000 from family and friends to start the store. When they got booted from their apartment building for storing food products, they decided to live at the store itself. They used the hose from the Hobart dishwasher to bathe themselves. If these had been my friends, I would have considered them practically insane and would have suggested they find a better way to spend their lives. But today their business is booming nationwide as one of the nation’s leading natural food markets, so I would have certainly wound up with my foot in my mouth. Today, you can go visit the original Whole Foods in Austin and fill your belly with their numerous amount of free samples! 3. Listen to Free Live Music. Anyone who knows a little bit about Austin is aware that it’s one of the greatest cities for music in the country. You don’t have to spend money to see a free live show – just walk in and take a seat! Austiners usually congregate on East 6th street for live music. 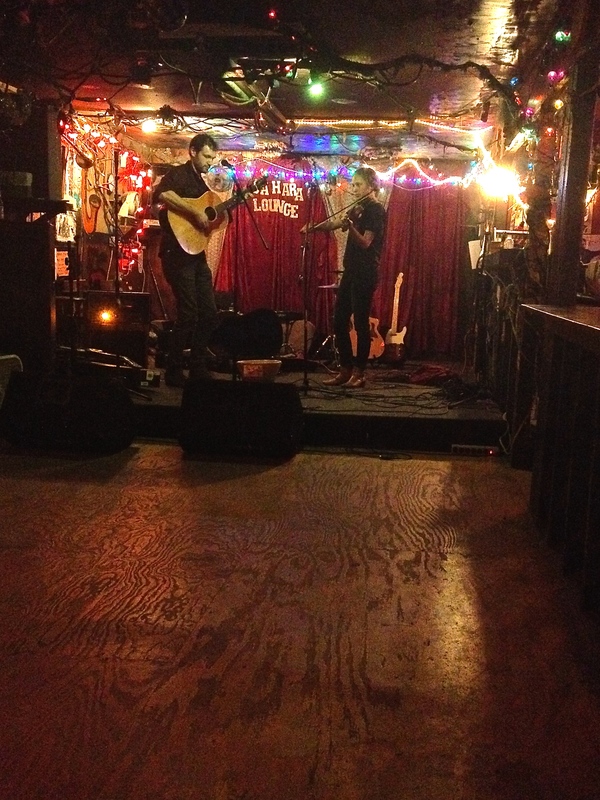 My first time walking down 6th street, I found a band or solo artist performing in every other bar I walked past, equating to about 3 performances per block. And if you want to explore the fascinating music history of this city further, take advantage of the Texas Music Museum‘s free admission! 4. Visit the Capitol Building. Funnily enough, Austin is the capitol of Texas. 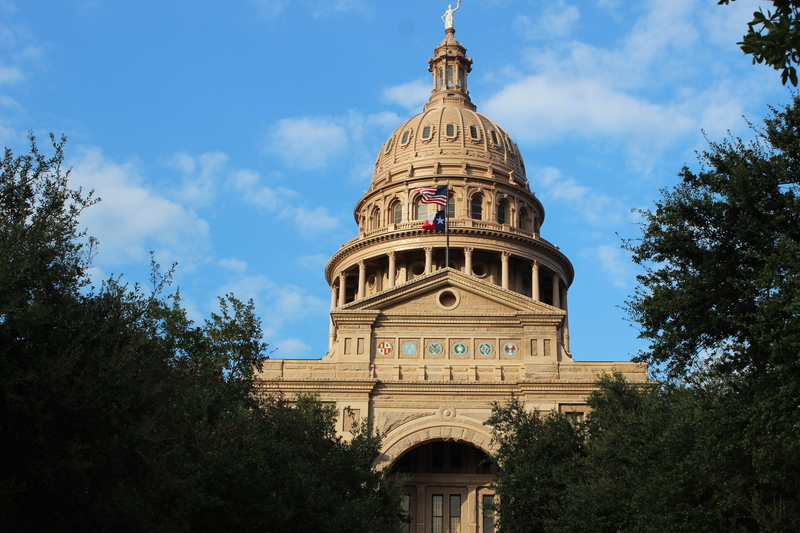 The Texas State Capitol building in Downtown Austin is pretty easy to find – you can see it from basically any spot in the city. You can take a free capitol tour, or just opt for a casual afternoon stroll around the building and its surrounding park. It’s a pretty magnificent site, and the park contains this crazy old tree that’s branches have to be held up by thick construction wire. This is a local attraction to which you’ll definitely want to bring your camera! 5. Watch the Congress Avenue Bridge Bats Take Flight. I’m actually super bummed that I won’t be able to do this in my stay here because of the time frame. 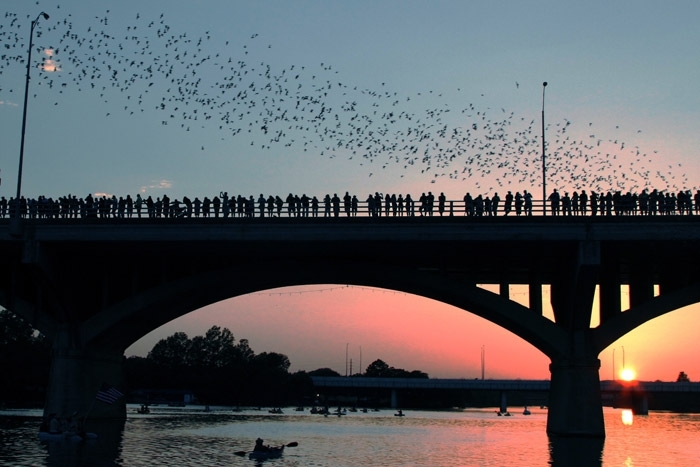 From April until September, groups of people gather on and around the Congress Avenue Bridge to witness the largest urban colony of Mexican free-tailed bats take flight for their nightly quest for food. Apparently these bats made their homes in the Congress Avenue Bridge after its renovations in 1980, which left 15 open crevices that make perfect spots for bats to live. Perhaps it is because of these bats, but for some reason the free-tailed bat is the official “flying mammal” of Texas. Who knew? Anyway, this free attraction is obviously not for the faint-hearted, but to those of you who don’t like bats at all, know that they are eating up tons of the city’s insects, meaning a few less bug bites for all of us.